By registring you will receive the weekly newsletter of hospitalityInside for free. With your password you can login and change your user profile and password. By registring you will have access to the magazine for 10 days. You can read headlines and teasers; the full text of the articles is not available. A first orientation. This offer is free of charge. For 1 month you can read the articles of the "Current Issue" every week in full length. The archive is not available. Price: 33,62 Euro plus VAT. The trial subscription is automatically terminated. For 12 months you can weekly read the articles of the "Current Issue". The archive is not available. The option for users with a regular reading behaviour. Price: 176,40 Euro plus 19 VAT by paying semi-annually; in total 352,80 Euro plus VAT per year. The annual subscription is always extended for one more year if it is not terminated at least six weeks before the contract ends. The annual subscription provides you with a 12-months access to the online service. You can always read all current and archive articles. Price: 289,66 Euro plus 19 % VAT by paying semi-annually; in total 579,32 Euro plus VAT per year. The annual subscription is always extended for one more year if it is not terminated at least six weeks before the contract ends. 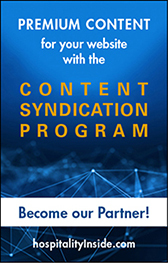 Special conditions and attractive packages for corporate subscriptions. Get access for all executives and staff members. 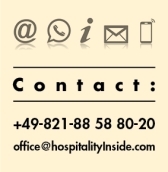 Please, ask for details by e-mailing to service@hospitalityInside.com or call +49-821-99 56 68. For media, PR, hotel schools and universities special offers are available. Geneva (March 15, 2019). Kempinski AG, Munich, and Kempinski Hotels SA, Geneva, have announced on Wednesday that Markus Semer will not extend his mandate as Chief Executive Officer. 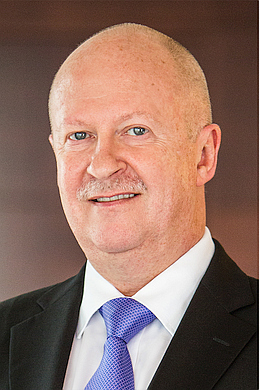 At the same time, Colin Lubbe resigned as Chief Financial Officer and Vice Chairman at Kempinski AG. Currently, there are no successors for either one of them. This is surprising as well as incomprehensible news. 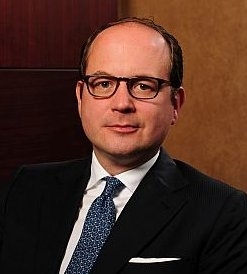 Markus Semer, Chairman and CEO at Kempinski Hotels, is leaving the luxury hotel group. At the start of the next business year, he will take over a new position at his parents' company (see below). "In order to guarantee smooth business operations for the Kempinski group, Markus Semer was asked … to prolong his mandate until a successor had been recruited and appointed," states the press release. Colin Lubbe had likewise been asked. The CFO will not prolong "after Markus Semer decided to leave Kempinski for a new position starting next year," explains the press release his decision. Abdulla Saif, Chairman of the Supervisory Board at Kempinski AG, thanked both of them for "agreeing in the company's interest" to prolong for a transitional period "so that the management board is able to recruit and appoint a successor in the meantime". The resignation of the two most important board members of a company, the CEO and CFO, at the same time, is very unusual, at least in the hotel industry. All the more surprising is the fact that the supervisory board is not able to present any successors. Abdulla Saif, Bahrain's former minister of finance, is one of three representatives of Kempinski's majority shareholder from Bahrain: the family of the Prime Minister holds 70% of the luxury hotel group. Because of the current decision, a lot of company knowledge will disappear. In 2002, Markus Semer started his career at Kempinski as a university graduate and assistant to Reto Wittwer, President and CEO for many years. In 2008, he appointed Semer to the management board at the age of 32 because of his sharp analysis and entrepreneurial and strategical mindset. He became a member of the management board of Kempinski AG as well as a member of the board of directors of Kempinski Hotels SA. In addition, he served as Deputy CEO in the last six years and was appointed CEO three years ago, after Reto Wittwer left the company.Colin Lubbe joined Kempinski ten years ago and was a member of the board of the Kempinski AG and a member of the board of directors of Kempinski Hotels SA from the beginning; in the last three years, he served as Deputy CEO. In his position as Chief Financial Officer, he was mainly responsible for finance, IT, technical services, and pre-opening. After the scandal concerning his former boss Reto Wittwer in 2015/2016, it was Markus Semer who jetted around the world for months in his role as new CEO to restore and maintain the hotel owners' shaken trust in the Kempinski brand. At the same time, he restructured the top management and put together a new team with lateral thinkers who had much experience from other luxury hotel chains. All this bore fruit: as hospitalityInside.com knows from reliable resources, the company value has increased substantially since 2016. It is currently estimated at 700 to 800 million euros. Experts assume that the company value could exceed the one-billion benchmark in the next few years. In a global conference call this morning, in which all Kempinski employees worldwide were able to participate, Semer highlighted the successes of recent years. For the first time in the company's history, there was not a single case pending before the courts, after 13 lawsuits over mismanagement could have resulted in a fine of 22 million USD. In his contribution to this call, CFO Colin Lubbe pointed out that there was no more external debt. He described the substantial increase in market evaluation at about 35% over the past three years. Semer also described 2018 as another year that exceeded profit targets, all strategic KPIs and net portfolio growth. In the current press release, Abdulla Saif once again explicitly thanks Semer "for having successfully repositioned and succeeded in making the company profitable by setting a financially sound strategy with an achieved sustainable net portfolio growth." Then why are both CEO and CFO leaving? There is no clear, and certainly no detailed answer to that question today. 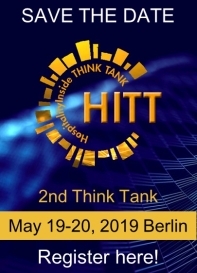 The only thing that is certain is that this surprising turnaround leads to two important questions and conclusions: if the majority shareholder allows two members of the executive board not to renew their mandates at the same time, but cannot present any successors at the time of announcement, then there will probably be no further corporate strategy on the part of the supervisory board. Insiders expect that the next step will be a wave of layoffs throughout the top management. And the owners will likely be able to ask the Bahrain supervisory board what will happen to their hotels and agreements: hospitalityInside.com knows that eight agreements are currently up for renewal, including those for the Grand Hotel Kempinski Geneva and the Emirates Palace in Abu Dhabi. So now rumours about the sale of Kempinski hotels will boil over again ... Corresponding rumours appeared again just last week at ITB Berlin. No, the Bahraini had clearly denied any sale of Kempinski, the Kempinski management confirmed to hospitalityInside.com upon further enquiry. Kempinski Hotels operates 78 hotels, while 21 hotels are currently in the process of being opened or in development. To print this article you have to be registered and logged in for newsletter, visitor or subscription.